As the concept of digital rail becomes an ever-likely reality for the UK rail industry, it’s important to remember that the railways are steeped in an incredibly rich history. Its profound evolution enabled the fundamental transformation behind the UK’s infrastructure and labour market as we know it today. As a result, the rail industry has proudly celebrated the principles first established in the business model of its inception, for over 300 years. Historically, critique of the rail industry has created a narrative that suggest the facilitation and pursuit of modernisation and change in rail is challenging. Certainly, the concept of digital rail has taken longer than the digitisation of the wider transport industry. But, given the juxtaposition of the industrial and digital revolutions, a desire to preserve one of the UK’s most historic industrial assets is understandable. Over the course of almost a decade, we have witnessed first-hand an industry that is increasingly engaging with means to find digital solutions to its problems. As a result, the rail industry is beginning to establish newer and deeper connections to our country’s digital landscape, thus negating the narrative once associated to rail, placing the industry at a crucial junction in its evolution, and one step closer to making the concept of digital rail a reality. The digital age has largely been driven by consumer experiences. Modern consumers are predominantly digitally engaged, and as a result, are demanding seamless, real-time interactions from brands. The wider transport industry has adapted to this change in consumer predilections well. Uber, for example, have recognised where their core demographic lies, and in doing so, have revolutionised the taxi industry. Uber’s understanding of the wider reaching benefits of digital transformation has allowed the company to harness the increasing prevalence of instant digital communications, and as a result, build the foundation of their business model around the smartphone. This has enabled the company to maximise efficiency across an increasingly digitally engaged market. By making their platform exclusively available via smartphone app, Uber have streamlined the car-summoning process, enabled seamless and contactless payment for riders, and empowered an entire fleet of drivers worldwide. As a result, Uber have successfully transformed the taxi industry and inspired other companies to reassess their approach by digitising their own processes to follow suit, for face extinction in the digital age. Furthermore, by incorporating the smartphone into the core of their IT ecosystem, Uber have made travel easier, improved customer service and vastly contributed towards the efficiency, profitability and sustainability of – not just the company – but the entire car summoning industry. Digitising their workflow enabled Uber to truly succeed in the digital age and successfully triggered the widespread digital transformation of an otherwise antiquated industry. If the rail industry is to actualise its digital rail concept, it needs to follow suit. The wider transport industry may have transitioned to the speed of the digital revolution sooner than rail, but the industry has been quick to catch up. Naturally, the rail industry faces its own challenges when it comes to digitisation, but the fundamental principles behind taking advantage of the power of smartphones and tablets, when distributed to a disparate workforce, is starting to act as inspiration to the rail industry – and to digital rail. 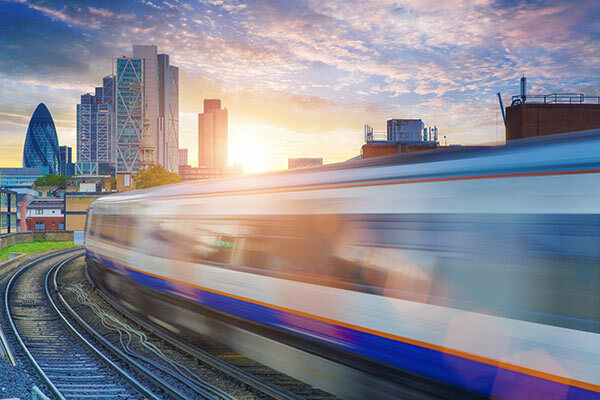 The rail industry is now learning to determine how it can both revolutionise and digitise its processes to accommodate an increasingly digitally engaged workforce, as well as its long-term goals for digital rail. The demands facing rail are set to increase in the years to come. As a result, the digitisation of the railways is at a crucial point in its development. Digital optimisation transforms the industry’s performance; streamlining the efficiency of its workforce and maximising rail’s potential to close the gap in both infrastructure and capacity challenges. Approximately 200 million workers worldwide use smartphones and tablets every day. This not only reinforces the importance of implementing a robust digital rail strategy and subsequent digital workflows, but also highlights the glaring inefficiencies of paper in a modern working environment. Paper has long been entrenched in the rail industry’s core processes, but many companies are now seeing the benefits of banishing paper entirely and have started to move towards process digitisation. This has enabled the rail industry to take advantage of the availability of digital solutions at their fingertips. Empowering staff to operate more digitally, improves staff engagement and enables entire work forces to connect and solve issues like never before. Digital transformation at this level accelerates the rail industry’s goal for digital integration sooner, and the potentials therefore, are endless. Like Uber, the rail industry’s digital revolution, thus, has been triggered by the humble smartphone. Harnessing the power that lies in an already active digitally engaged workforce has been the most obvious solution for the rail industry to consider in their approach to a digital rail strategy. Granted, the costs behind perpetually printing paper are high, but there are a multitude of reasons for industry-wide smartphone adoption that go beyond saving money on printing. Many of our own customers have found that conducting and managing document processes in rail digitally, has definitively streamlined the planning of works delivery and resulted in greater overall performance, safety and success rates of work on countless projects since its adoption. Automating job assignment, workflow validation, sign offs, incident reporting and other documentation crucial to a project’s success, available on a single device, has enabled greater output from our customers’ staff; naturally increasing the efficiency and productivity of those involved in major infrastructure projects across the country. Through the implementation of the smartphone, the rail industry is now able to experience the type of success other industries have by digitising their processes. Having a single, end-to-end process on a single app platform that can be distributed across an entire workforce is transforming how work is being carried out across tens of thousands of worksites every year, contributing significantly to the viability and sustainability of rail moving forward. Kickstarting its digital rail strategy via the smartphone and mobile business apps, the rail industry has already started to revitalise the efficiency, performance and productivity of its workforce and supply chain. Harking back to the successes of its inception, the rail industry is investing in its digital future and saving money that can be utilised elsewhere in the industry as it becomes more digitally engaged.